We use need to express the idea that it is necessary to do something. 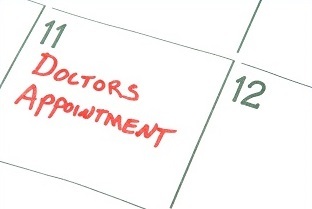 You need to get an appointment 2 months in advance to guarantee seeing the orthodontist. You needn’t take your shoes off. You don’t need to take your shoes off. You don’t have to take your shoes off. we do not know whether he went to the doctor or not. We know that he made an appointment, but that it was not necessary. When it is a modal verb, need is most often used with verbs like panic, worry, concern, fear or bother. You needn’t bother to feed the cat. She had enough today. He needn’t have worried about passing the exam. He came top. Correct any mistakes that you see in the following sentences. Some of the sentences are correct. Match the stems of the sentences that follow with the appropriate endings. Join them with needn’t and a bare infinitive of one of the verbs. e.g. about bringing anything to the party. a.	the details on the form. c.	yourself with falling ill this winter. d.	with memorizing the details. e.	about missing the flight. Replace the phrases in italics with the modal need or the full verb need to.